You can access it via System Preferences>Users & Groups>Click the lock to make changes. Then use "root" with no password. And try it for several times. Result is unbelievable! And yes, that actually works: enter root as a username, leave the password empty, and *BOOM* you’re in. The exploit also works at the login screen, and with remote management (Screen Sharing, etc). UPDATE 2017.11.29: Apple has released a security update, fixing this nasty bug. Open AppStore.app and check the updates section to download it. No reboot required. If you’re not too fond of the shell, follow the instructions from this video. 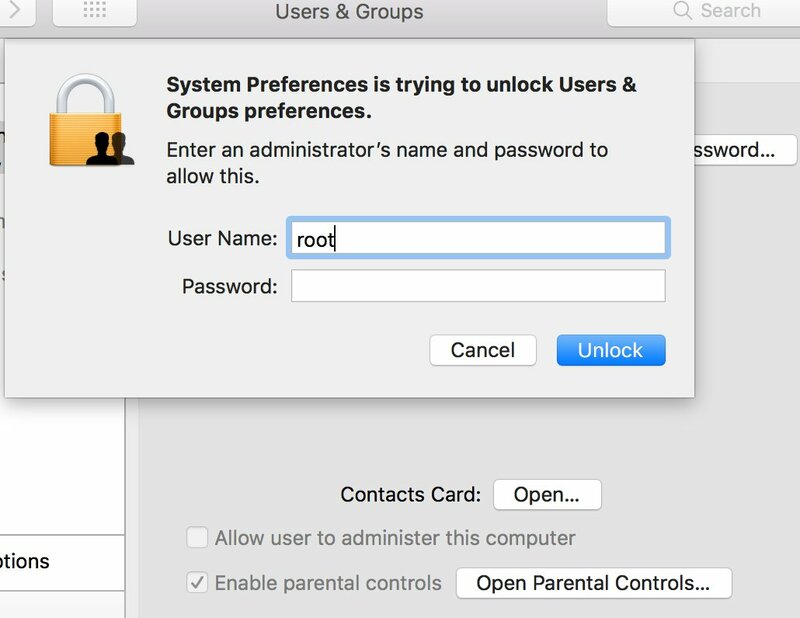 And to say Apple already had a huge security slip-up with that Disk Utility Bug which showed the password instead of the password hint but this one is much, much worse … #functionalhighground aye?